This fertile land was first sighted by the Italian explorer Giovanni de Varazano in 1524. When he anchored his ship in what is now New York Harbor, his intrusion into this new world would forever change the ancestral homeland of the indigenous Delaware Indians. 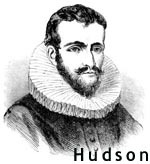 In the year 1609, Henry Hudson sailed up his now namesake river, claiming New Jersey (and New York) for the Dutch. Originally called New Netherlands, over the next 40 years a series of small, and short-lived Dutch and Swedish settlements were established along the coastline. The first permanent town (Bergen) was built in 1660. In 1664, an uninvited British fleet sailed into New York Harbor. After meeting very little organized resistance, the entire region was transformed into a territory of England's fast-spreading empire. 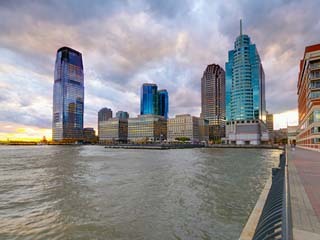 This new English colony was named New Jersey after the (Isle of Jersey) and eventually divided into two provinces. As different as day and night, East Jersey (controlled by the Puritans) and West Jersey (governed by the Quakers) were united as one in 1702. In the mid-1700's, colonists began protesting high taxation and trade restrictions by England. Eventually those very restrictive rules were deemed unacceptable, and in 1776, New Jersey claimed its independence. While the thirteen colonies struggled for their freedom, British and American armies crossed New Jersey many times and several crucial battles took place here. Subsequently, New Jersey is historically referred to as "The Crossroads of the Revolution." 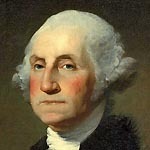 In fact, General George Washington (America's first President) and his Continental Army spent most of their time here, engaged in constant battles with the British during the Revolutionary War. Their famous crossing of the Delaware and defeat of the British forces at Trenton was crucial to moral, and overall victory for the colonies. At war's end, New Jersey was the third state to ratify the new U.S. Constitution, and the first state to sign the Bill of Rights. In 1790, Trenton was named the capital. 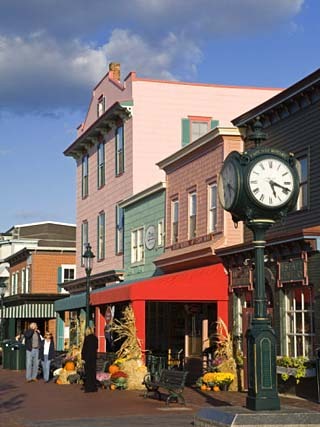 In the early 1800's New Jersey sprang into economic prominence as an industrial center. Manufacturing plants produced iron, steel and textiles, and good-paying new jobs attracted European immigrants by the thousands.